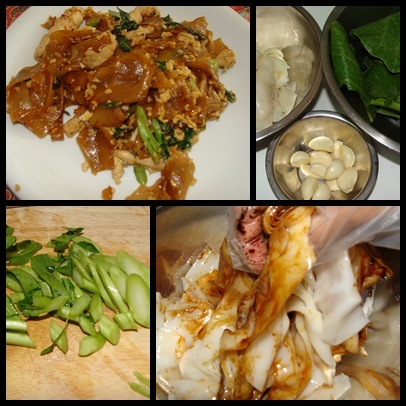 I got the request about stir fried noodle called “Pad See Iw” it is easy one dish food to eat. 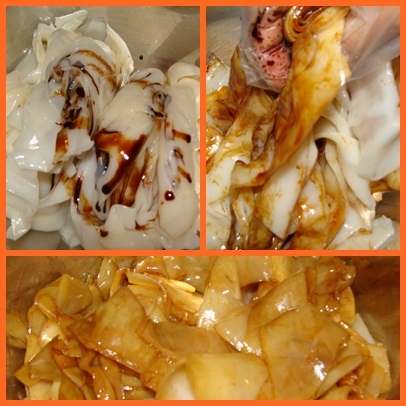 Main ingredient will be the dark soy sauce. Chop the garlic, cut the broccoli, mix dark soy to noodle until even brown color. 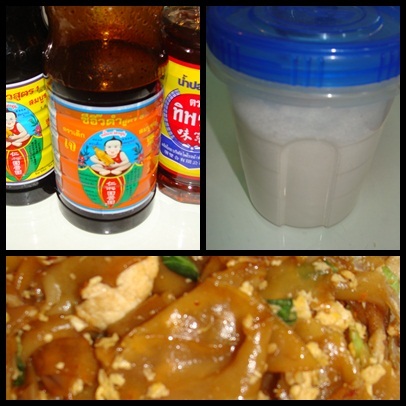 Fry garlic until light brown, add meat in cook until it is well done, add broccoli mix it well then add oyster sauce, fish sauce, light soy sauce and 3 teaspoons of sugar. 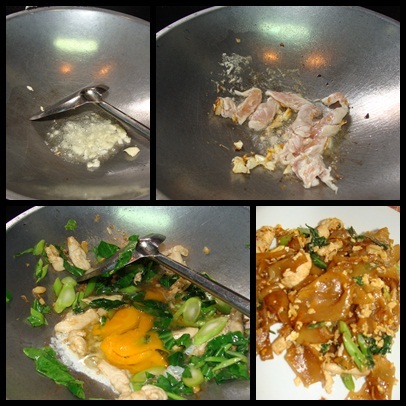 Mix well then add egg (scramble until yolk break then, expand it like crepe until it is cooked). Add Noodle and stir together add the sugar, and then mix well. Taste it!